I was so excited to receive one last Christmas present at the end of last week - The Fairest Beauty by Melanie Dickerson, which my mom had pre-ordered for me! As you probably already know, I love themes, so I decided to make this past weekend a "Snow White" weekend, which entailed reading The Fairest Beauty and watching Mirror, Mirror. 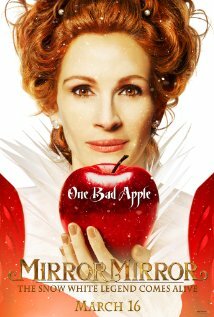 Thus, I bring you some snack size reviews, "Snow White" style! An enchanting and creative re-telling of the Snow White fairytale! I love the strength of the heroine, the excitement of the romance, the sweetness of "the Seven," and the focus on the blessing of family. The first half flies by; the build-up to the climatic scene is slower but engaging; the resolution is more drawn-out than I would prefer. My favorite of Dickerson's fairytale-twist novels so far, though! There are some crude scenes, some silly scenes, and some just plain bizarre scenes - but this is a visually creative and engaging film! And even though the theme of justice outweighs any hints of mercy, the story offers humor, a fun look at community and camaraderie, and a rather handsome prince with a great voice. ;) Not a movie for all moods or all people, but it does have a certain charm for an occasional viewing. There's only a little over a week left for the first month of 2013. (So crazy!) Fellow 2013 re-readers, how is it going? Have you re-read any favorites yet? After a little bit of indecision, I finally settled on the "Wading" level of the challenge vs. the "Swimming" level. (So my goal is to re-read 10 books rather than 15.) 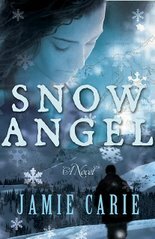 My first re-read of the year was Snow Angel by Jamie Carie. The cover and the snowy/cold setting made this a great fit for the winter season! "Please . . . God . . .
Jamie Carie has penned a can’t-up-down debut novel in Snow Angel, a masterfully romantic story wherein cold and lonely hearts risk everything to be forever warmed." The first time I read this book, the romance and adventure were new and exciting. And while it was interesting to read the story again at a different point in my life, I found that re-reading can't quite re-capture the feeling of reading the plot for the first time. However, the magic of the wild Alaskan setting was a great thing to fall in love with again! A few months back I wrote a post about re-reading vs. re-watching. For some reason (or perhaps several reasons), I get a lot more enjoyment out of re-watching a movie rather than re-reading a book. (Check out Vince's comment below that post - he makes a great point about the difference between the two!) I think if a book is plot-driven, re-reading that book won't be overly rewarding - I mean, you already know what's going to happen! But if a book has an engaging setting or beautiful language or fantastic characters, especially with deeper layers, then there can still be something there to make re-reading worthwhile. I don't know if I'll want to re-read Snow Angel all the way through another time, but I can say this: despite how plot-driven the books is, the setting made the re-read entertaining. And the ending - I love how the setting makes the ending stand out so beautifully! Well, I've rambled on long enough! If you're entered into the challenge, please share what you've re-read or what you plan on re-reading first this year! And if you haven't yet signed up but are interested in learning more about the challenge, click HERE. It's not too late to join us! "Filled with page-turning suspense, The Tutor’s Daughter takes readers to the windswept Cornwall coast–a place infamous for shipwrecks and superstitions–where danger lurks, faith is tested, and romance awaits. When suspicious acts escalate, can Emma figure out which brother to blame and which to trust with her heart?" Klassen's ability to set the scene with rich historical detail and exquisite descriptions is simply wonderful. The Tutor's Daughter is quite an enjoyable excursion to early 19th-century Cornwall, marked with the mystery the book trailer and synopsis promise. It's a combination of Jane Eyre twists, Northanger Abbey atmosphere, Klassen's sweet romance, and matters of faith. With the detail that sets Klassen's novels apart, this book is rather long with an unhurried pace. Not all of the twists are overly surprising by the time the characters reveal/understand them, but the suspense still flows well throughout the pages. Emma is a heroine most of the target audience can probably relate to, with her love of reading and learning. She acts and reacts to things in interesting ways sometimes, and it's a pleasure to see her grow in confidence and open up to love and life. As for the boys, well... Let's just say I like how things turn out in the end! Some of the morals of the story come across as a bit cliche in how they are presented, but there are some great points to ponder, nonetheless. 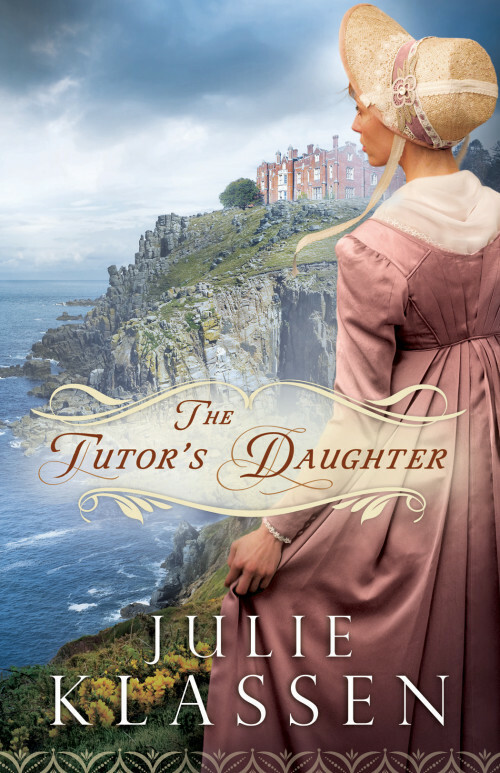 The Tutor's Daughter contains much to please fans of Julie Klassen and her chosen genre. P.S. Did you miss my latest "May I Borrow From Your Book?" letter on the BB blog? If you'd like to read my tongue-in-cheek letter to Emma Smallwood, which I wrote when I was about 1/4 of the way through The Tutor's Daughter, you can find it HERE! Julie Klassen loves all things Jane–Jane Eyre and Jane Austen. A graduate of the University of Illinois, Julie worked in publishing for sixteen years and now writes full time. She has won the Christy Award: Historical Romance for The Silent Governess (2010) and The Girl in the Gatehouse (2011) which also won the 2010 Midwest Book Award for Genre Fiction. Julie and her husband have two sons and live in a suburb of St. Paul, Minnesota. 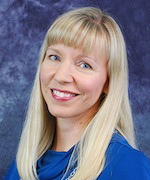 Find out more about Julie at www.julieklassen.com. Blog Tour Schedule: Check out the other reviews scheduled by clicking HERE. "She thought she had left her old life behind . . .
Esther Cherrett comes from a proud line of midwives and was trained by her mother to take over the family calling. When a terrible scandal threatens all she holds dear, Esther flees, taking a position as a teacher in the wild western mountains of Virginia. But instead of the refuge she was seeking, Esther finds herself in the midst of a deadly family feud-and courted by two men on opposite sides of the conflict. All she wants is to run away again. Yet could it be that her past holds the key to reconciliation-and love? In this gripping story of trust, deception, and bittersweet loss, you’ll discover the true meaning of choices of the heart." The mountain setting, the family feud with the heroine caught in the middle, the love triangle - the basic elements of this story (despite being used time and time again), as well as the colorful cover, drew me in and begged me to give it a try. 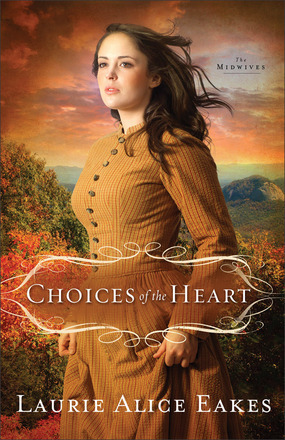 Similar to my experience with the first book in "The Midwives" series (Lady in the Mist), I discovered some great things about Choices of the Heart, even if it didn't completely captivate me as much as I initially hoped. One aspect of the book that intrigued me was how much some of the characters surprised me. My first impressions were often mixed-up - a great reminder that there's much more to people than what we initially believe! And, as a romance aficionado, I appreciated that Zach and Griff - the two men vying for Esther's affections - are around often throughout the pages. There's quite a bit of romantic tension! With all the tension and mixed-up first impressions, however, this story lacks a certain fluidity. While I hesitate to call the characters "over-dramatic," as many of the situations often warrant heightened emotions, I still felt adrift and sometimes annoyed by all of the flip-flopping feelings and uncertainty. Even though the heroine goes to the mountains to teach the children, the story is centered more on her back story and her previous profession, rather than on the community. That isn't to say that Esther's students don't play an important, albeit limited, role or that there aren't some valuable give-and-take lessons in store for the feuding families and the heroine. But the emphasis seems to be more on Esther's healing process and her love story. I would compare this story (in regards to a mountain setting, the feuding, and the focus) to A Heart Divided by Kathleen Morgan. Although I personally enjoyed the characters in A Heart Divided more, I still found this particular plot to be interesting and this romance to be generally sweet. Choices of the Heart shows how dark the choices of our hearts can be, and how much we are in need of understanding and mercy - as well as how careful we ought to be in how we act on our heart's desires. The story ultimately comes together as a fitting end for "The Midwives" series. I recently discovered Lena Goldfinch's work thanks to Juju at Tales of Whimsy. 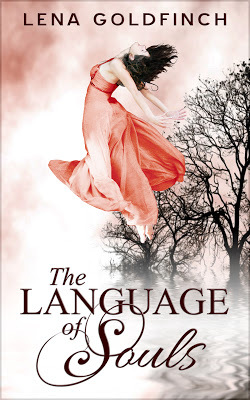 I bought a Kindle copy of The Language of Souls for $.99, and I loved it! It's a sweet, romantic, lovely fantasy novella. If you're curious about it, you should check out the book spotlight I posted on "The Borrowed Book" blog, then enter the weekly drawing for a chance to win it! A few weeks ago I shared a guest post on "The Writers Alley" blog, and I offered a free editing package as a giveaway prize. Rachelle Rea won - and if you're a fan of Christian historical romance and don't know that name yet, you should keep it filed away for future reference! It's been a pleasure to work with her on her story, to gain some invaluable experience and to simply enjoy her lyrical writing (as well as her engaging plot!). Rachelle was sweet enough to write up a little post on her blog called My Editor and I. What a sweet blessing it is to be that editor! I received some wonderful treats for Christmas, and today I'm going to share snack size reviews for two of them in my first post of 2013! Enjoy! Gorgeous cover, inviting setting, somewhat painful plot. I found the descriptions, America's maids, and Prince Maxon's demeanor to be, overall, sweet. 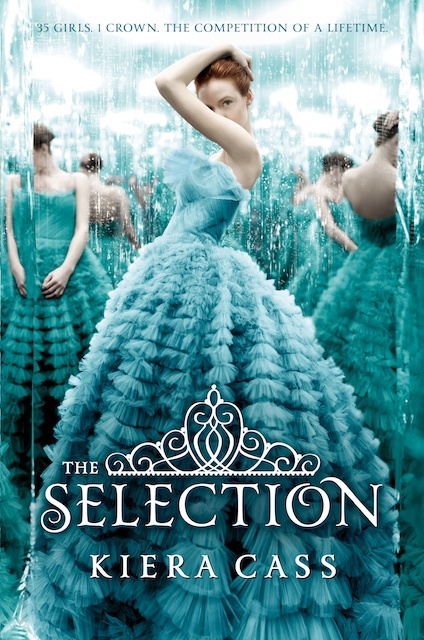 Aspen's behavior and the general self-centeredness of many of the characters were a little too sour for me. I'm intrigued by the series but not overly invested in it, especially because the whole scenario is rather frustrating. 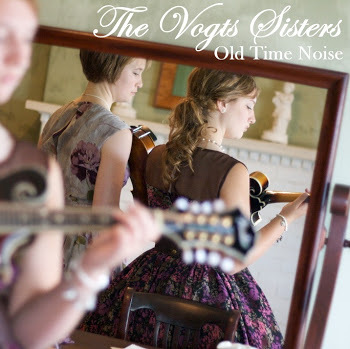 Creative album cover, great "old-timey" song selections, and lovely voices. Maggie and Abbey are both very talented - certainly musical artists to watch if you're a bluegrass fan! I love the sweetness and heart of the whole album. Current song favorites: "One More Dollar," "Lila Jean," "Acony Bell," and "Tear My Stillhouse Down."